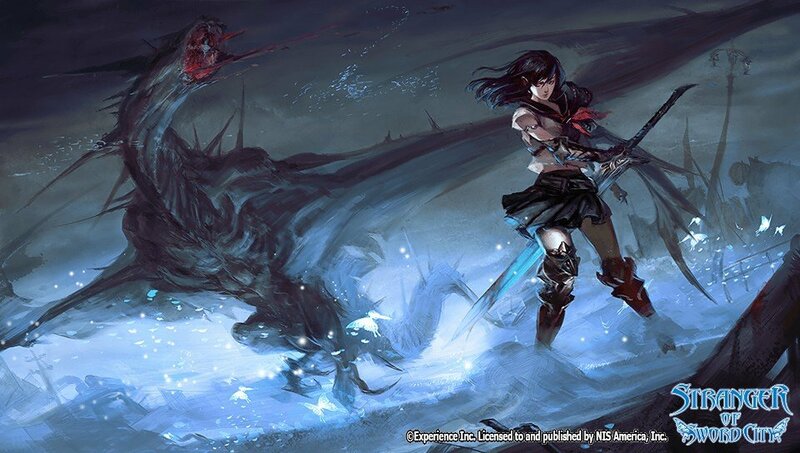 Stranger of Sword City is a Dungeon Crawler/RPG game published by NIS America released on April 26, 2016 for the PlayStation Vita. I need to say something about this game because I actually like it a lot, I’ve already said I love Dungeon Crawlers and RPGs and this is one of the bests I’ve played, it has a nice customization level with tons of equipment and categories its really nice to have such things in a RPG, also the character development is pretty good, of course I’m not talking about me getting attached to the characters (I actually do get a bit attached even if the main character just says whatever option you’re given in a conversation) but the class system is really interesting in this game, you can create a lot of different builds with it. Some tips: So I’ve found different guides that go like this “If you’re creating spellcasters you should first make then rangers and get the Bow Soul skill so they can attack from the back” or things like leveling up a ninja just to get a certain skill at level 13 or so, I’m just saying that from my point of view doing that actually makes you lose one of the best class change bonus, carrying half of your HP/MP to the next class, besides you don’t actually need those skills early in-game for beating the bosses, what I do recommend is getting a high amount of VIT in every character so they get the max amount of HP from every level they get, If you’re planning on making a wizard + cleric then this character should max out INT and PIE before moving to VIT, dual weapon users should get AGI to 25 before moving to VIT, also if you class change at level 26 you’ll get a decent amount of HP/MP bonus and get the skill token from the new class at the same time. I personally did my first class change at level 30 but this is just my opinion. If you like RPGs and Dungeon Crawlers you should play this game, have fun.